These fairy houses are just adorable and they couldn’t be easier to make. This project was all my 8-year-old daughter’s idea! She has been fairy crazy for weeks and has been busy making fairy houses, fairy doors (which are all over our house), and little fairy dolls. She made this type of fairy house one day all by herself and put it in the garden. 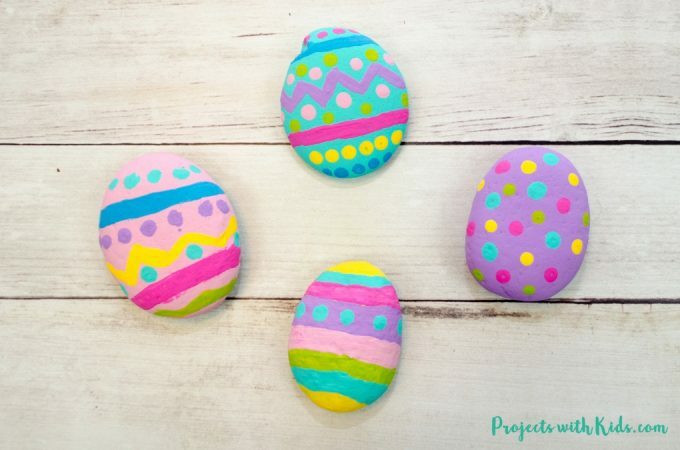 I thought it was such a cute idea and would make a great project for the blog. 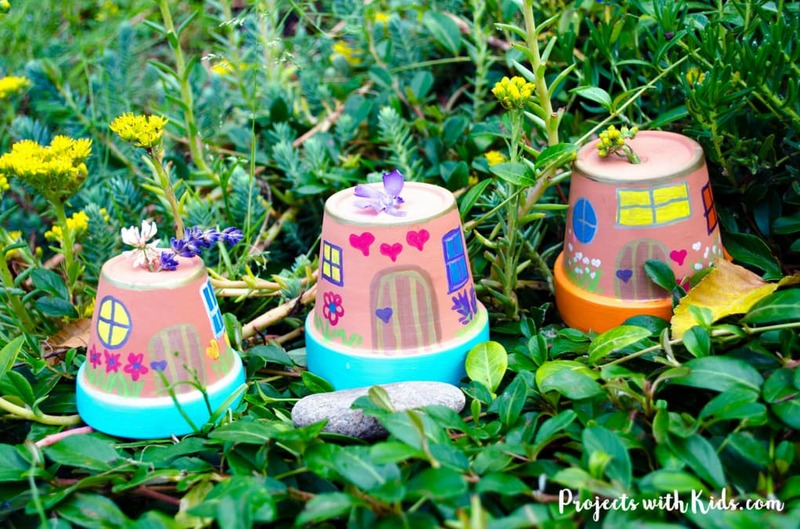 All you need are a few simple supplies and your creativity to make these magical houses for your own garden. 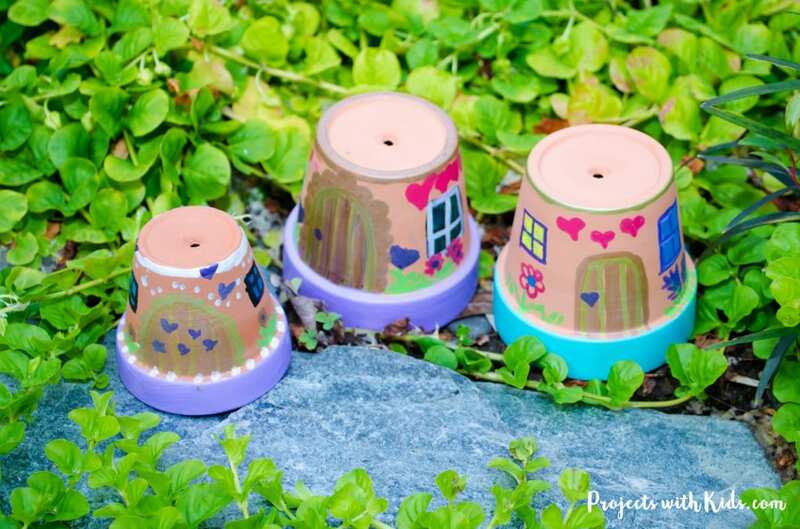 These fairy houses are perfect for placing outside in your garden. Ours have been outside in the pouring rain and still look great! We used an outdoor paint for the bottom and paint pens and permanent markers to decorate them. And of course, it was hard to resist putting little sprigs of flowers in the top. 1. Gather up all your supplies. We used two different sizes of terra cotta pots, both very small. 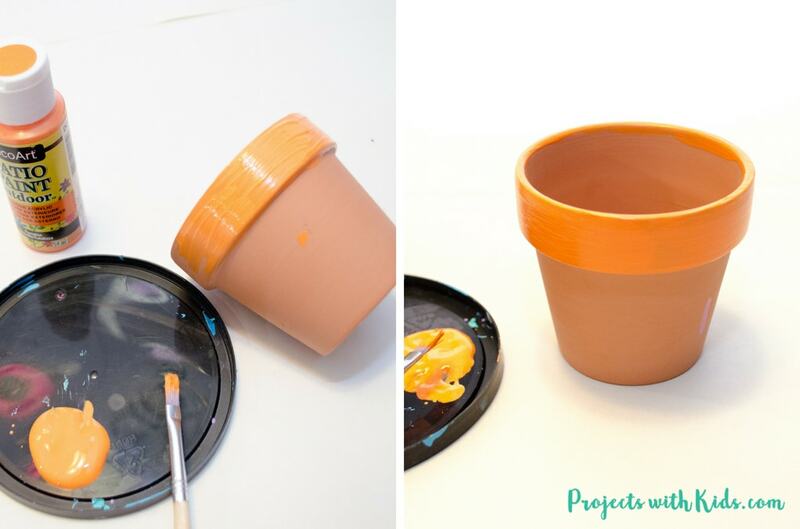 Using outdoor craft paint (the kind we have is self-sealing and weatherproof) paint the bottom part of your pot. I love the bright pop of color that this gives to the fairy houses. 2. 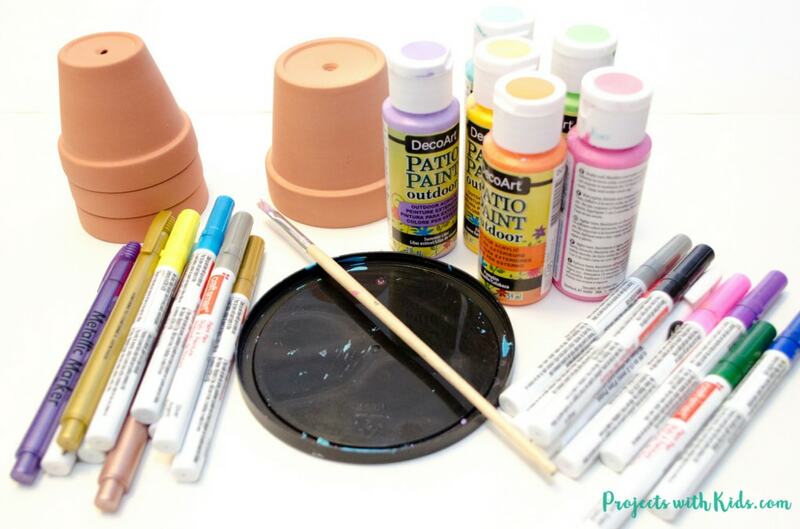 Once the bottom of the pots is dry you can decorate them. 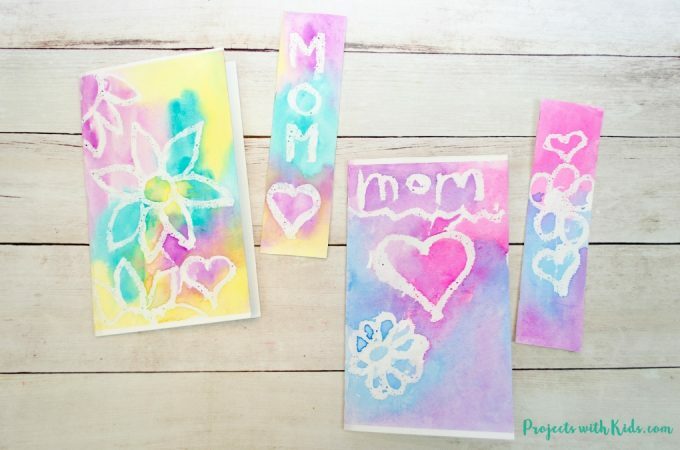 It’s best to use paint pens and markers with a fine tip, that way you can get more detail. Using your paint pens, draw on a door and some windows. We also added some flowers and hearts to make the houses bright and cheery. 3. 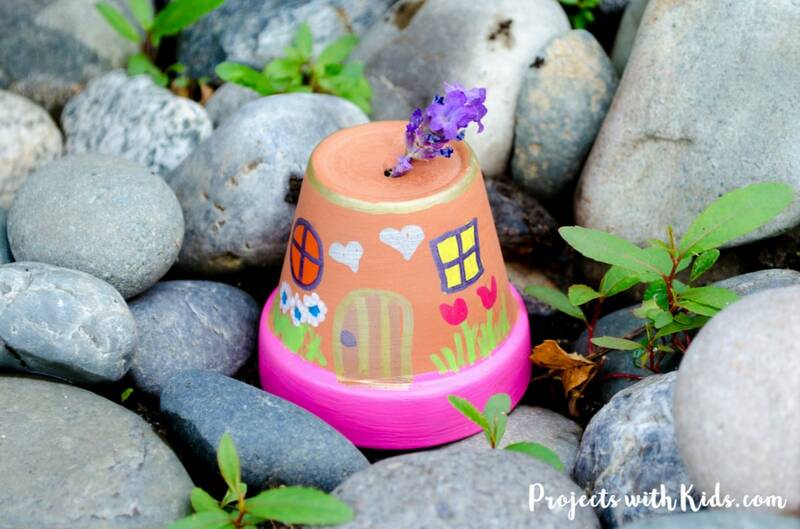 If you want to be extra sure that your fairy houses will last outside and keep their bright colors, you can cover them with a weatherproof sealer. 4. 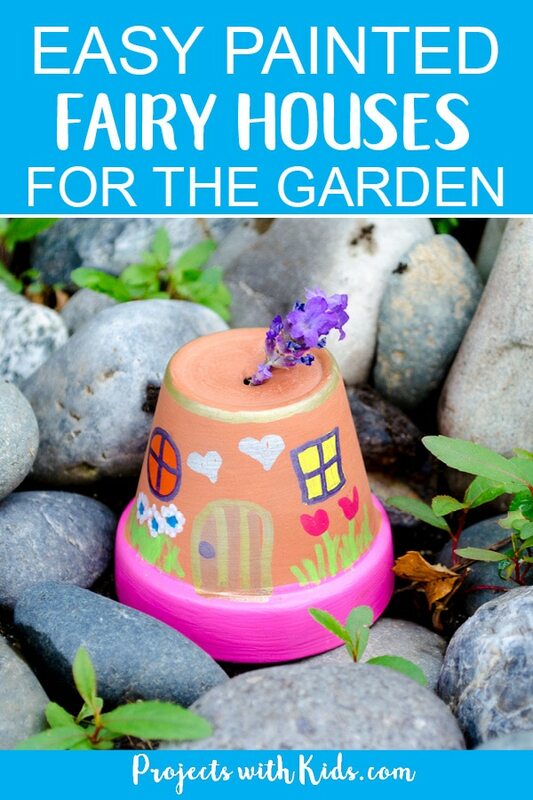 Take your fairy houses outside and have fun finding special places in your garden to put them. This was probably my daughters favorite part! My daughter and I had so much fun making these fairy houses together and then going outside to our garden to find special places to put them. We even hid a few in our neighbors garden for a fun surprise! 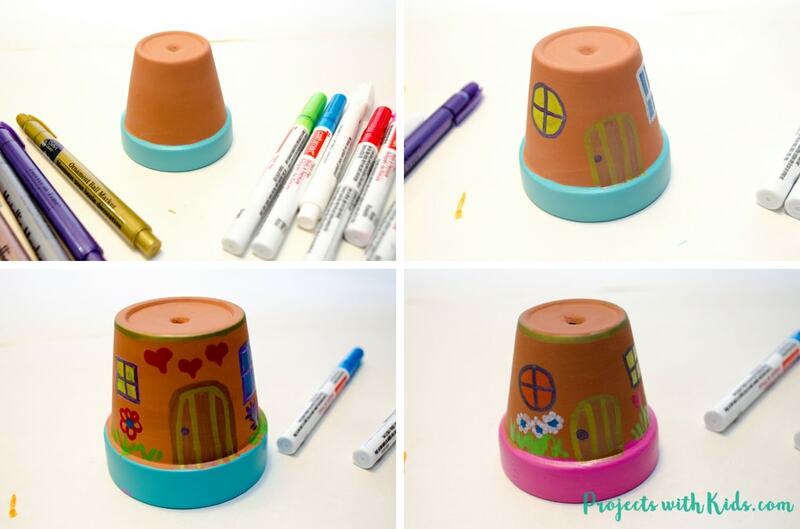 If you are looking for more fun craft projects check out these Mini Plant Pots – an Easy Upcycle Craft for Kids (so cute and easy!) 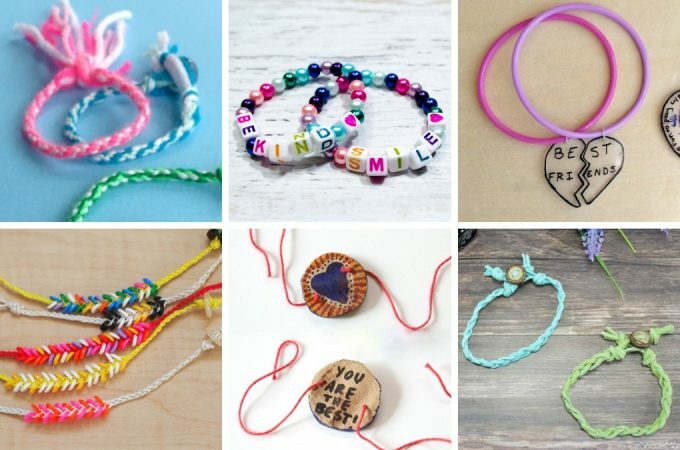 or these DIY Zen Gardens for Kids which make wonderful handmade gifts. 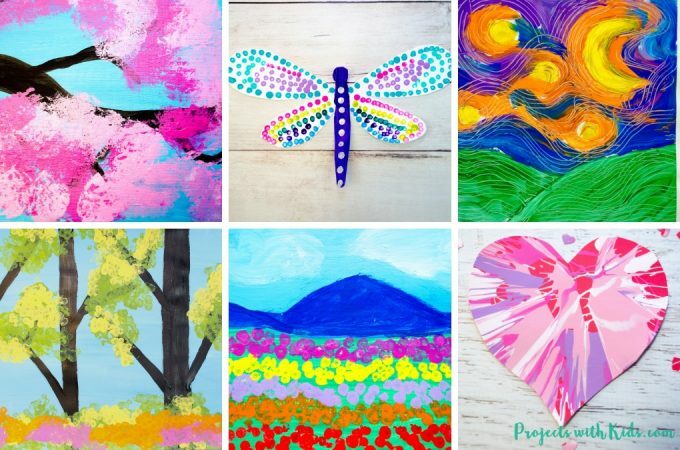 Follow me on Pinterest for more awesome project ideas!